Dr. Jeffrey Ginther, middle, and his office staff pose with the Healthgrades America’s 100 Best Hospitals for orthopedic surgery trophy. 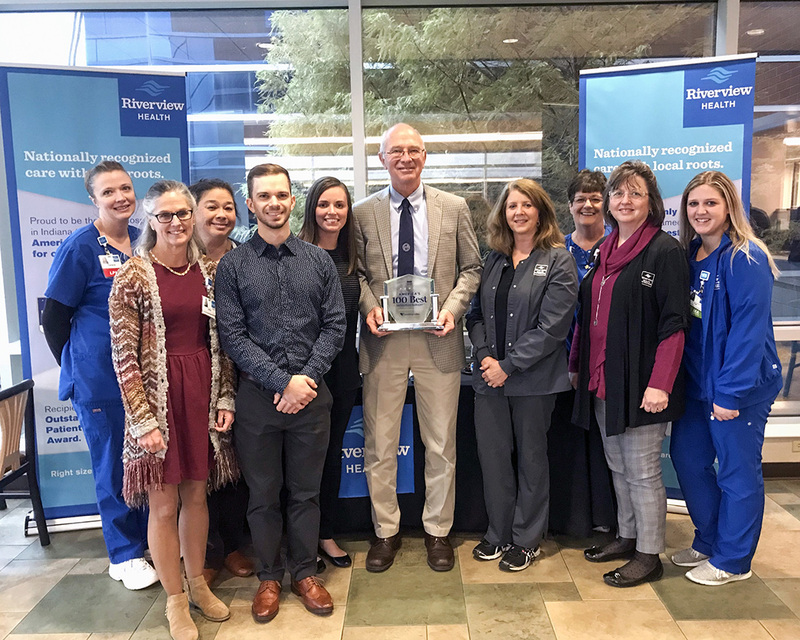 Riverview Health announced Nov. 14 its earning of several national awards from Healthgrades, including America’s 100 Best Hospitals for Orthopedic Surgery two years in a row (2018-2019), for its high-quality care. 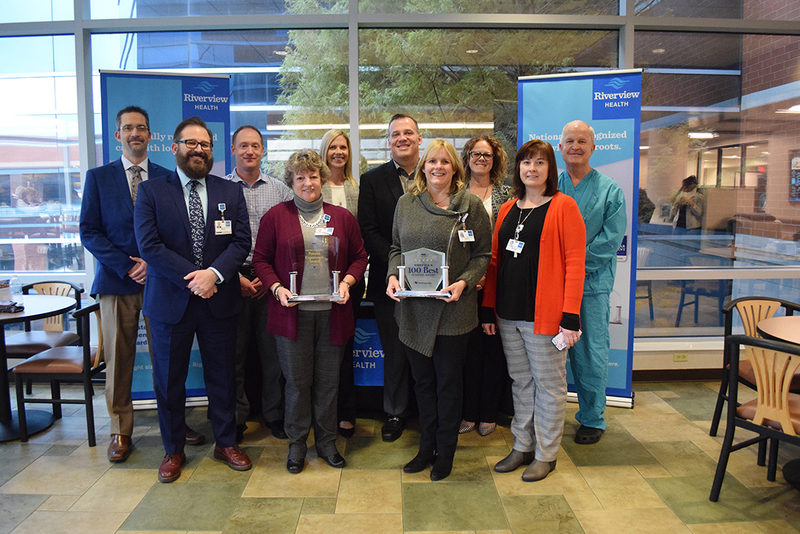 Other recognitions include: Healthgrades five-star award for hip fracture treatment (2016-2019), total knee replacement (2018-2019) and spinal fusion surgery (2019); Joint Replacement Excellence (2018); Orthopedic Surgery Excellence (2018-2019); and Outstanding Patient Experience Award (2018-2019).